Can I get heated seats? Do I have to get a sunroof? Find out what you need to know about Alfa Romeo features right here. Active front spoilerFront spoiler can retract to increase clearance or extend to reduce lift. Front spoiler can retract to increase clearance or extend to reduce lift. 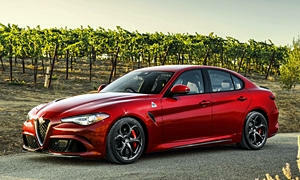 None of our members have yet commented on the available features of the 2019 Alfa Romeo .